It looks like the upcoming third entry into the G.I. Joe film franchise could see the live-action debuts of another set of iconic antagonists from the classic 1980’s "A Real American Hero" toy, comic book and cartoon lore. The latest rumor report is saying that the film will feature none other than G.I. Joe’s terrible twin twosome, Tomax and Xamot. According to the report from Film Divider, the yet-to-be named follow-up to the series’ second entry in 2013’s G.I. Joe: Retaliation will have Dwayne "The Rock" Johnson’s Roadblock tangling with the sinister split zygotes. It’s certainly not a rumor out from left field, especially given the state in which the lineup of the G.I. Joe rogues gallery was left after Retaliation was said and done. (Destro out of commission, Cobra Commander in hiding, mainstays, Zartan and Firefly definitely dead.) Clearly, the time has come for the deadly dynamic duo also known as "The Crimson Twins" to show up in the movie canon, as longtime rumors have suggested. Introduced in 1985, Tomax and Xamot are portrayed as identical twins who apparently have an empathic link, sharing each other’s pain and usually finishing the sentences of one another. Sporting palindromic names, they are actually distinguishable by a scar on Xamot’s face and (at least, in the toys and cartoons,) the positioning in their fashion choices, made to show each other as mirror opposites. The twins are also the head of Cobra’s elite force of spy assets known as the Crimson Guard. Essentially, the twins and their Crimson Guard forces were the G.I. Joe canon’s satirical answer to the "yuppie" culture of the 1980’s, portraying them as the evil Cobra’s division of traders, bankers and accountants who secretly blended among the populace, seemingly living normal suburban lives, while utilizing the world of finance to further influence Cobra’s various insidious plots by way of white collar methods. However, that is not to say that they’re not skilled on the battlefield, as both the Guard and the Twins are portrayed as experienced and formidable soldiers in their own right. They will certainly bring a different kind of adversarial vibe to the Joe films, likely portrayed as eccentric, sophisticated, manipulative masters of evil. On another note, the Film Divider report also drops a random rumor, whose veracity is probably a little more in question than the Twins angle, but is nevertheless intriguing. It seems that G.I. 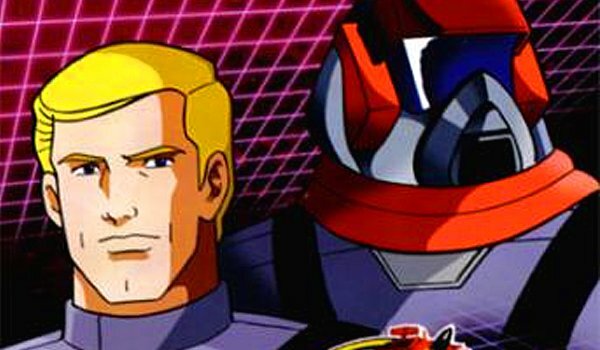 Joe 3 could be branching out its hero lineup to bring us the live-action debut of a character from ANOTHER toy line. Fans of the 1980’s toy line, M.A.S.K. (Mobile Armored Strike Kommand) will be excited to learn that main hero, Matt Trakker might show up to help Dwayne Johnson fight evil with his own signature brand of transforming vehicles and power-enhancing masks. The M.A.S.K. toy line was introduced in 1985 by Kenner, whose intellectual property essence has since been absorbed by Hasbro Toys. (Notably when it comes to the Star Wars toy line.) The idea of a toy line crossover is not so outrageous as Hasbro even released a Matt Trakker action figure in the G.I. Joe toy line back in 2008. However, as previously implied, this rumor might best be taken with a huge grain of salt. The yet-to-be-titled G.I. Joe 3 has no release date targeted in its laser sights, but will be helmed by a fresh new director in D.J. Caruso, probably hitting theaters sometime in 2016.